Whitehorse Primary School is a co-educational school that caters for children from Foundation to Grade 6. The school moved to new buildings at its present location in Blackburn North in 2012. The school consists of a series of connected single level buildings that offer flexible learning spaces. Facilities include a large Art room, Music room with an indoor/outdoor stage, large Gymnasium and a well-appointed Stephanie Alexander Kitchen Garden. The school operates the Seedlings@Whitehorse Kindergarten and an OSHC program within its premises and there is also a Maternal and Child Health Care centre on site. Literacy and Numeracy remain key areas of focus in the school. Specialist teachers provide dedicated weekly sessions in Visual Arts, Music, Chinese, Science and Physical Education. All students in Grades 3 to 6 attend the Kitchen Garden programs every week. The school runs a very successful one to one (bring your own device) iPad program for students at all levels. Whitehorse Primary School is a member of the University of Melbourne Network of Schools Alumni and recently completed a highly successful School Review which showcased a number of outstanding achievements. Enrolment projections indicate that enrolments will continue to increase significantly for at least the next three years. Although Whitehorse Primary School is a young school, it is privileged to have a heritage that dates back more than 90 years. 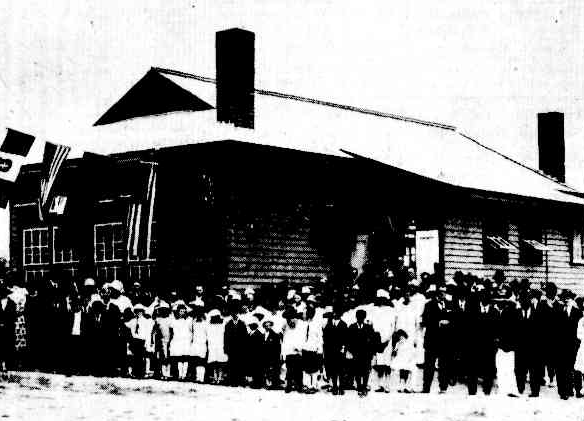 Its founding schools both had long and proud histories: Nunawading Primary School opened in Springvale Road in 1922 (originally as Tunstall State School) and Springview Primary School opened in Junction Road in 1964. Many thousands of students attended the former schools and both are still held with affection in the hearts of the local and wider communities.